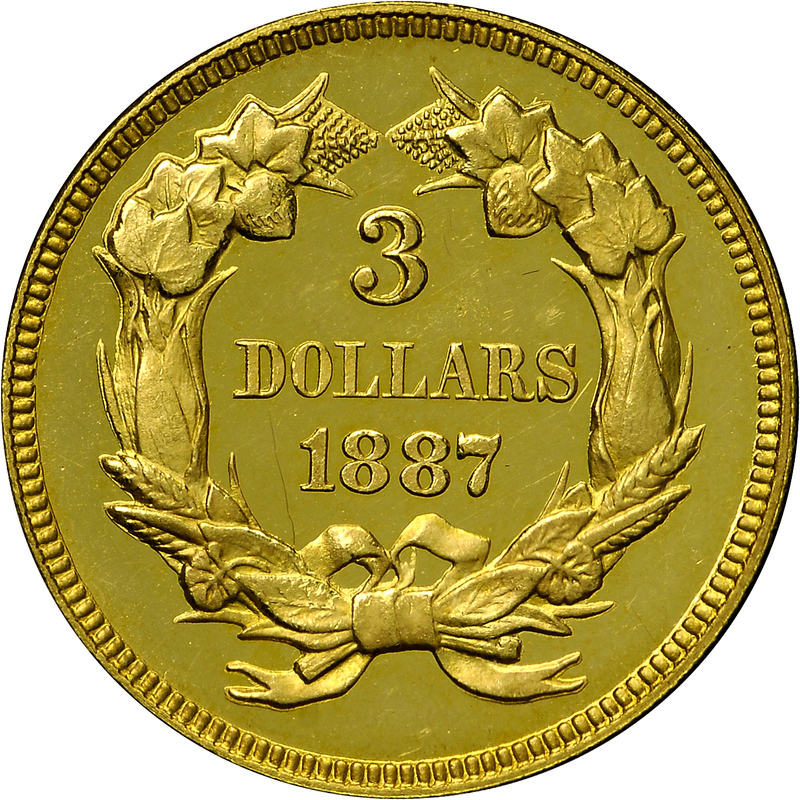 This example has dies aligned opposite to the normal alignment for coinage. 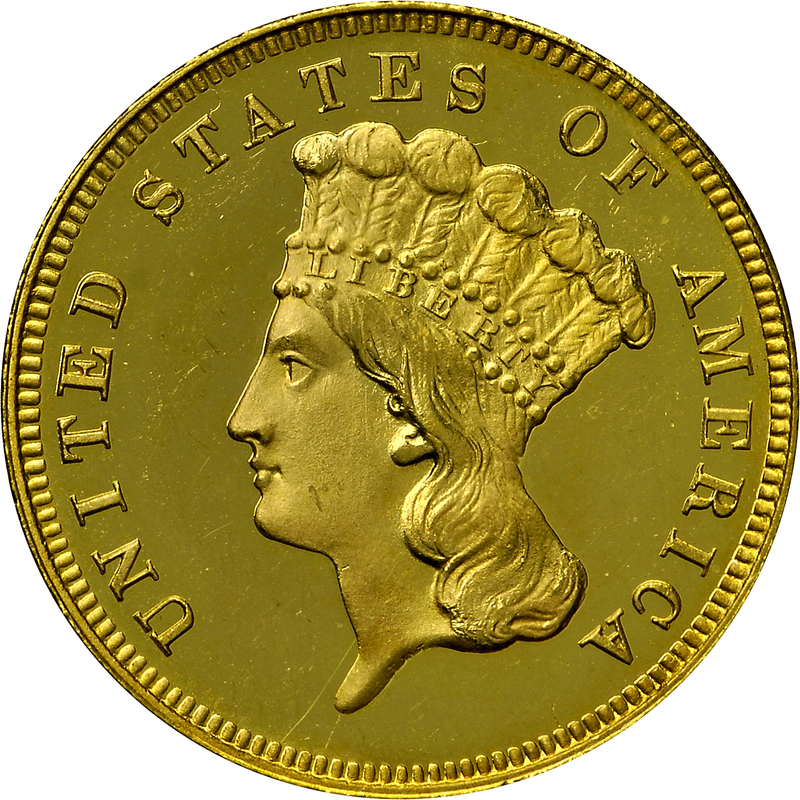 Coinage dies are generally placed in the press with the reverse die upside down in relation to the obverse, known as “coin alignment.” When this example was minted, the dies had been placed with both obverse and reverse in the same orientation-the normal alignment used for production of medals, and known as “medal alignment.” Only two or three examples with this medal alignment are known from a Proof mintage of 160 coins. 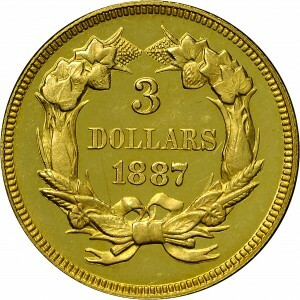 In addition, three examples are known double struck, with one impression from each alignment. (adapted): "Dies upset 180 degrees."